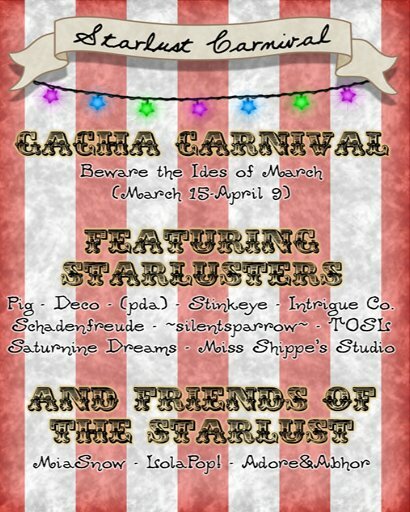 it’s time for the Starlust Monster Beach Party over on Two Moons and i have some new releases at the event! i hope you’re not tired of unusual eyes because i had a blast drawing these. Maudeline is rarely fully human, so what else can you expect? 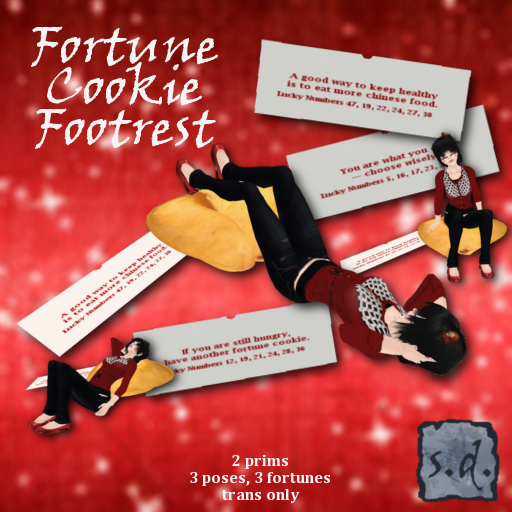 be sure to check out all the goods under the umbrellas from all the lovely Starlustians and click here for your taxi. 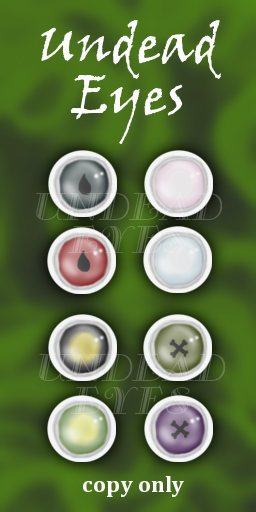 the Undead Eyes pack includes all the colors/designs shown! i had tons of fun speculating about what they should look like and because i can never make up my mind, i did 4 designs with 2 colors of each. i hope that you enjoy them! you can find them here at my new store location! and here is where i ramble a bit, please ignore and just look at the pictures if you so choose: i was raised on Universal Monsters and books about ghosts and goblins BUT i was horridly afraid of things in the dark (and still sort of am). one of my favorite books to read as a child though was called Bumps In The Night by Harry Allard. admittedly, i’ve caught myself saying that throughout my life even though i have a love/hate fascination with monsters and even went to see the new version of The Wolfman, even though i still suffer from lycaonphobia. if you are really a werewolf, please do not ever let me know or show up at my door. thank you! so! the new shop is finally (mostly) set up and i even made a little something fun to commemorate this event! 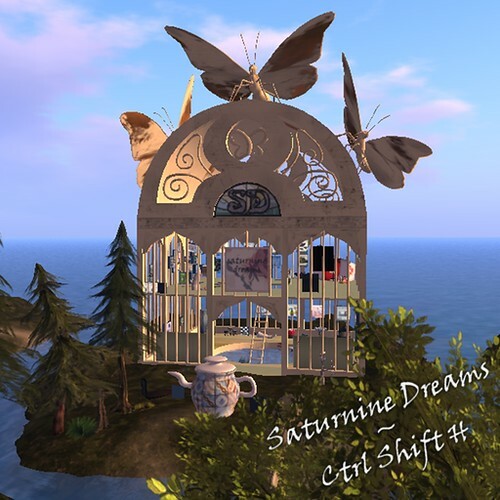 Saturnine Dreams is now on the lovely Home Sim (otherwise known as Ctrl Shift H) and not too far from the FireGOOD!, Empyreal Dreams, the Indigo Aviary and the Albatross Coffee House. Be sure to check out the other places if you stop by and don’t be too alarmed if you see cupcakes or bacon or just about anything else randomly flying through the air. and without further ado, here is your taxi! 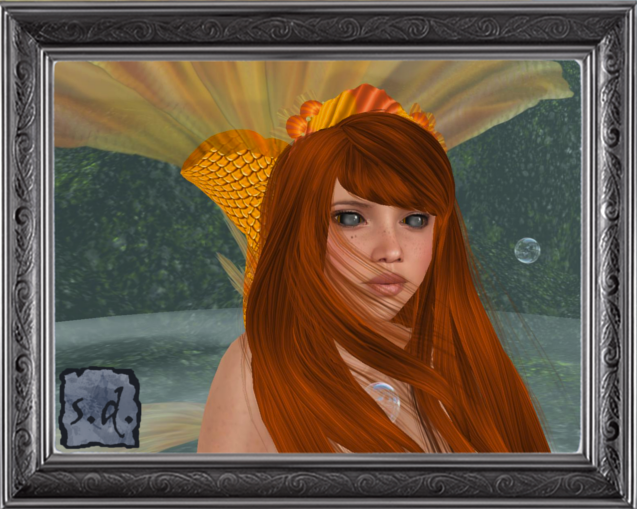 this month for Horror Haute (which i know is nearly over already and i have been a horrid blogger) i made cecaelia eyes! a cecaelia is half-human half-octopus but you don’t need to be one to wear them! 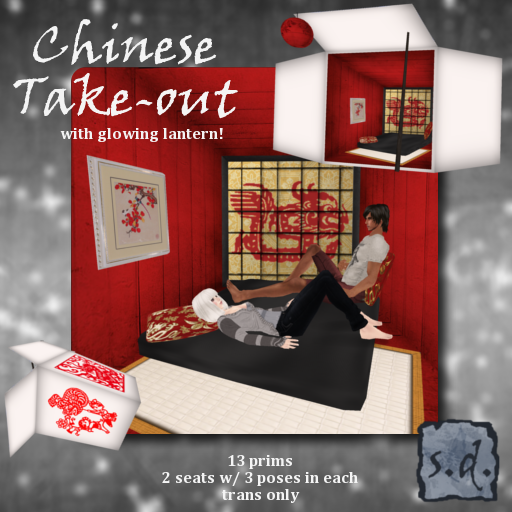 if you grab them during Horror Haute, you’ll get both color packs for the price of one! not to worry if you miss it though. 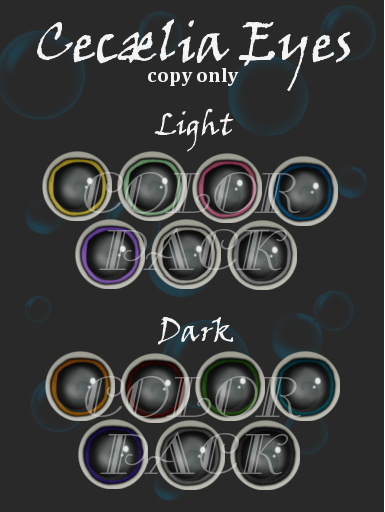 both color packs will be available even after the event. both are out now at the shop! the doll & slipper sets are available in 3 different colors! Horror Haute runs from March 25-31. stop by the store today to pick up a Snuggly Cthulhu set! here is a quick taxi to the shop! and while we’re on the subject of tentacles, here is a little teaser for what’s coming up for Horror Haute later this month! 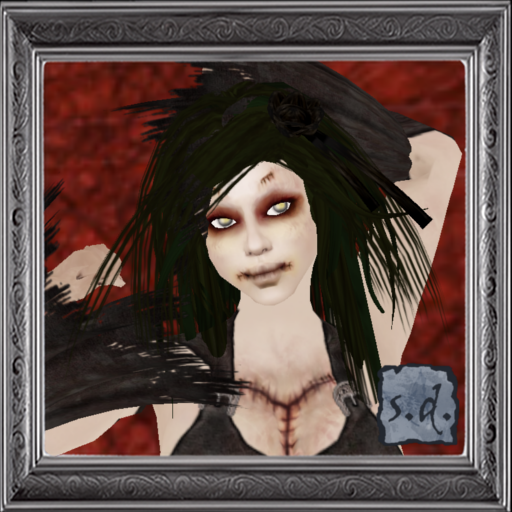 this will be my first item for Horror Haute ever! i hope that it isn’t too cutesy for everyone, but i could hardly resist making this once the idea entered my head! 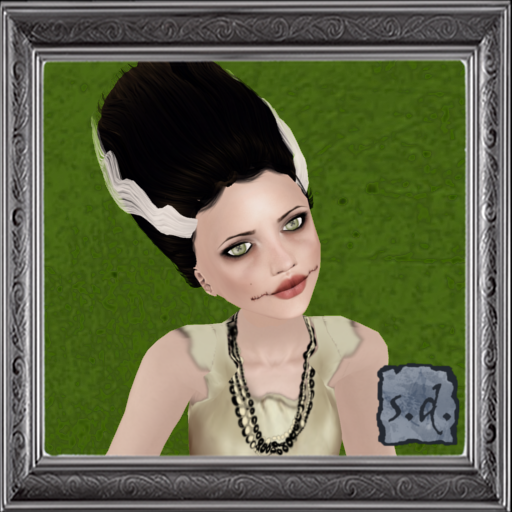 the rag doll and slipper set will be available in 3 different colors: soot, swamp & vapor. want to go to the carnival? click here! and a final reminder about Flux. it’s almost over for this month, so be sure to stop by today! for more info check out the Flux blog!